1. Target by Country – The broadest level of geo-targeting usually aims at individual countries. You can choose to either target visitors from a given country specifically, or hide your ads from them. Perhaps laws and regulations prevent you from shipping your product across international borders, or you are trying to specifically attract international visitors as an outreach program. 2. Target by City – Perhaps one of the most commonly used forms of geo-targeting, you can choose to display your ads only to those who live within a certain city based on their IP addresses. This prevents you from spending ad revenue reaching people who physically will not patronize your store, and helps you to reach local customers. 3. Target by Metro Area – If an area is heavily developed and populated, there will be plenty of people living in the greater metropolitan areas of the cities you want to target. You can choose to aim at broader metro areas to capture this segment of your customer base, and reach people in the suburbs as well as those within the city limits. 4. Target a Radius – This option is for those who have a specific region in mind that they would like to target, that either does not possess a major metro market, or crosses several of them. You can specify how far you want your ads to reach from a certain latitude and longitude point or location. 5. Target a Point of Interest – It is also possible to target specific points of interest with your geo-targeted ads, such as an airport or major attraction. If your business revolves around an attraction or point of interest, this method will let you capture the search traffic related to that point of interest, no matter where it originates from. Most businesses will not use all of these techniques at once, but will rather select one or two that most closely fit their needs. A good and comprehensive ad server will be able to offer all of these geo-targeting features and deliver your ads to the right audience and maximize your return on investment. 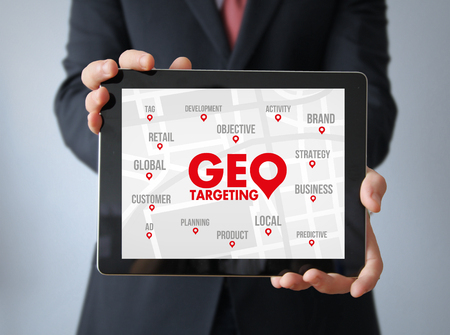 Geo-targeting your ads at the country, region, and city level can help you significantly increase the amount of sales your organization makes using your online sales funnel.